It’s all I hear and it’s all I see. ARCTIC. ZERO. 150-300 calories a pint. Fat free, gluten free, lactose free, GMO free, kosher, low glycemic, and vegetarian (again vegans, stick to your nanas) ice cream that tastes like cookie dough, cappucinos, mint chocolate chips, key lime pies and buttery pecans. I read hundreds of both praiseworthy “THESE ARE THE GODS OF HEALTHY ICE CREAM” and bitterly disdainful “I PRACTICALLY VOMITED FROM THIS SH*T” reviews that were so overwhelming I had to avoid the topic overall (not to mention that nail-biting lawsuit!). But it was just too popular to avoid! You have no idea how many times I passed by the frozen aisle, saw an Arctic Zero pint, picked it up then putting it back out of skepticism and leaving the grocery store, only to come home and regrettably look at the social media photos I saw of foodies boasting their delicious waffle and sundae recipes with the same droolworthy product. I completely gave up this vicious cycle by getting off my booty, driving to Erewhon and purchasing the most appealing flavor of Arctic Zero I saw. Of course, chocolate was the answer. If you can’t see from the (I apologize in advance!) 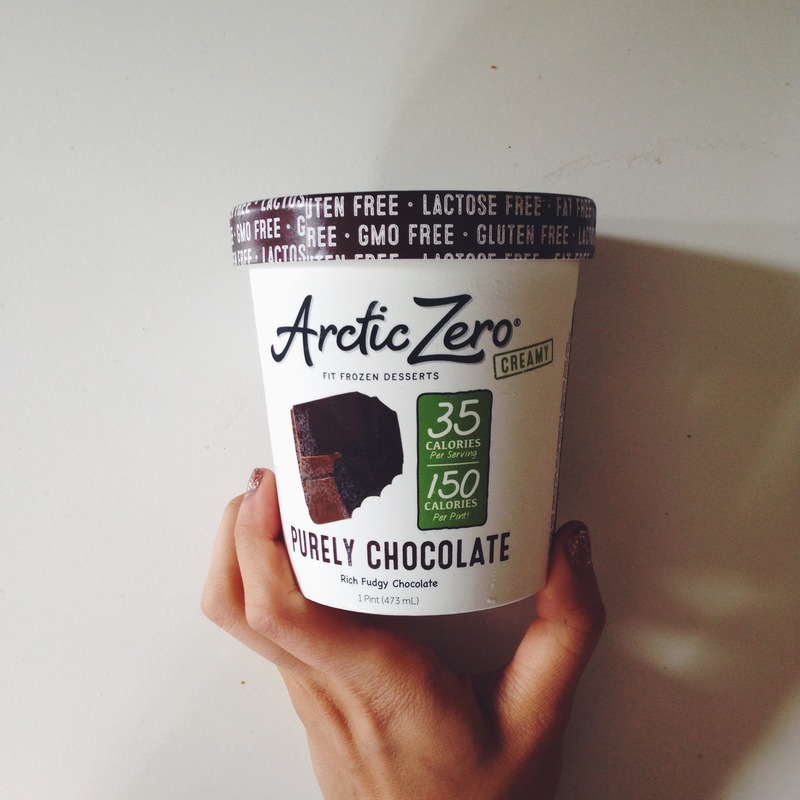 low-quality pictures, Arctic Zero labels that they are 35 calories a serving and 150 calories a pint. 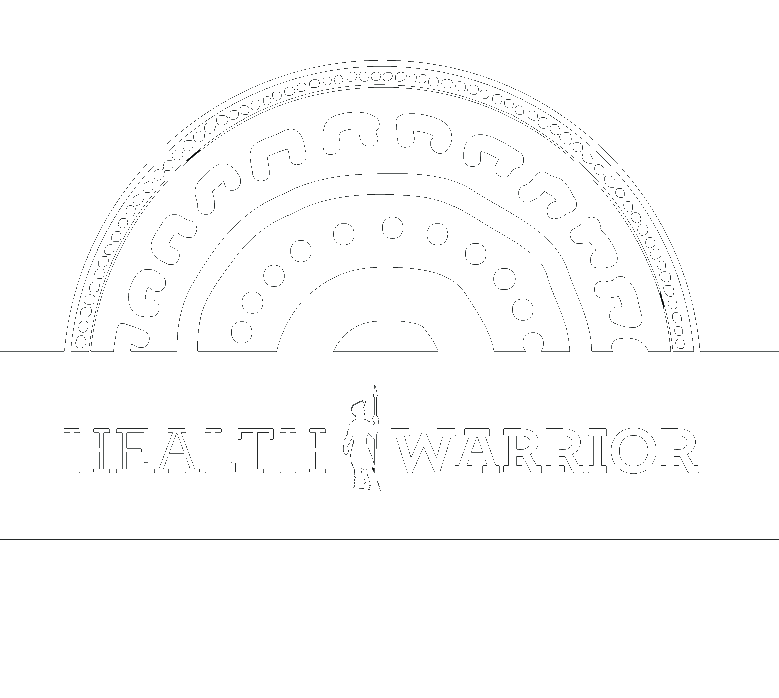 Each serving also has zilch fat, 7 grams of carbs, 2 grams of fiber, 5 grams of sugar, and 3 grams of protein. 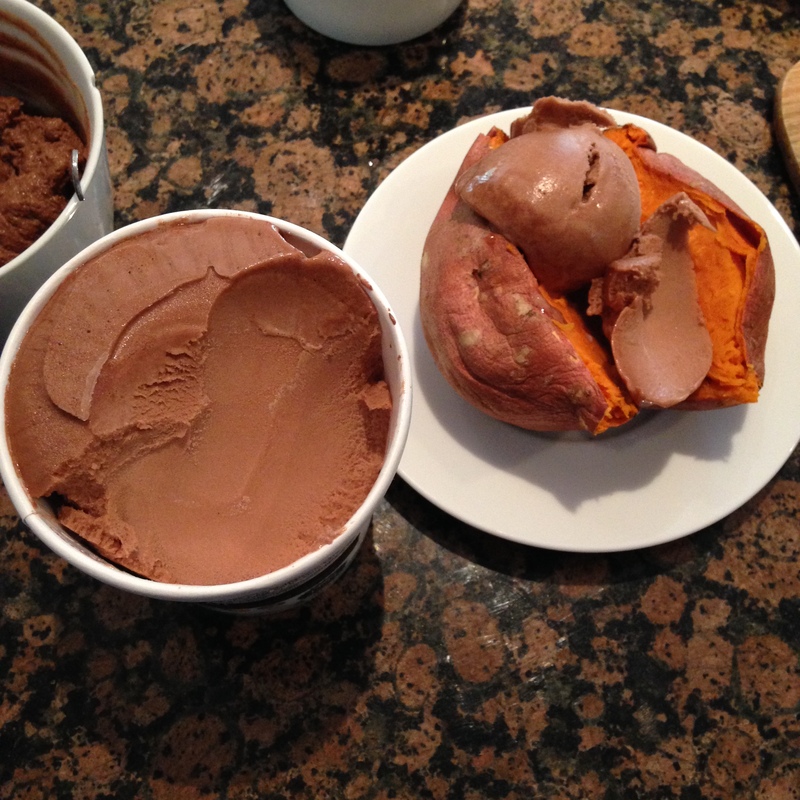 These are way too-good-to-be-true macros for ice cream, which is why I repeatedly kept putting them back on the shelf. 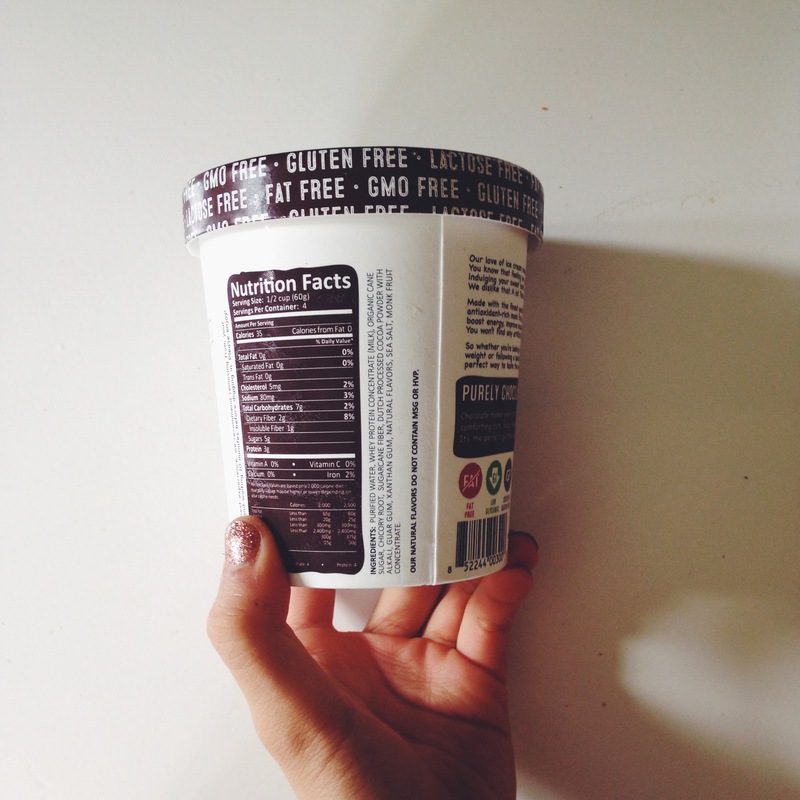 Basically, the nutrition label was almost too good that the product would seem fake and tasteless. But I will tell you….I was very wrong. The company says on their label that for the best quality taste, you have to let it thaw for 10 minutes before serving. However, I didn’t do that the first time trying it and instead microwaved it for 30 seconds because there was a deliciously fluffy and hot sweet potato waiting for it. I’m too lazy and impatient to wait anyways! 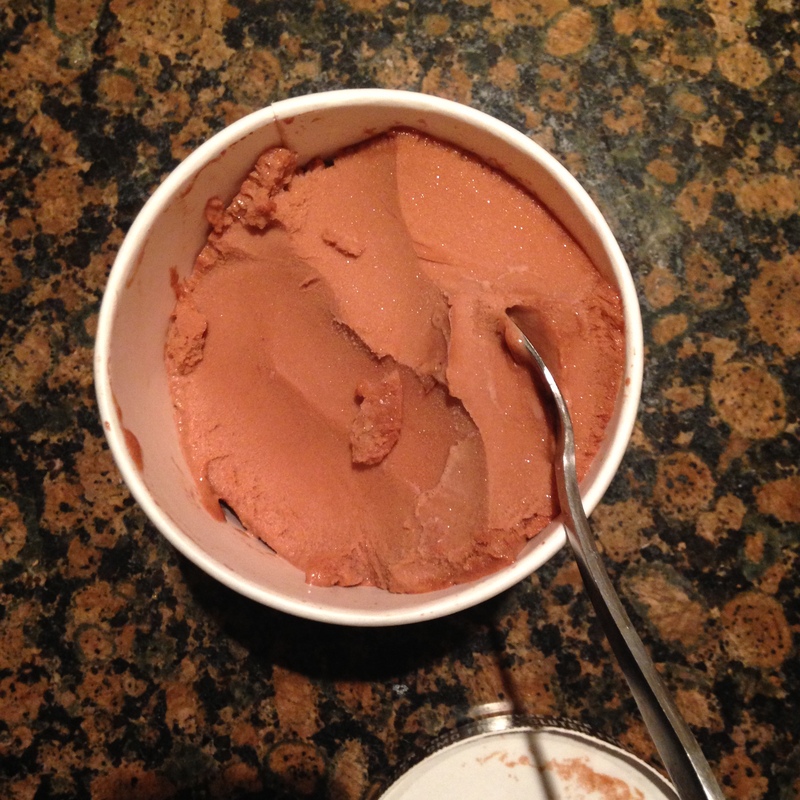 The ice cream ends up softening up very well otherwise, and it’s pretty good to scoop. It tasted PERF on a loaded breakfast sweet potato! So, like I said before, I was very wrong when thinking it’s a tasteless piece of crud. There is a pretty distinctive chocolate texture but it’s not super dark because not everyone likes such a strong flavor, and it’s not sweet either. I personally wouldn’t mind adding some more melted dark chocolate on top, but it’s far from flavorless. The texture is pretty distant from a Haagen-Daaz or gelato dessert, but it does a pretty good job at being scoopable and somewhat creamy and melty. It’s only icy when it’s not thawed or softened, so keep that in mind if you do want to try it! Here’s the complete breakdown: I really enjoy the product overall! Arctic Zero has practically godlike macros, not-too-shabby ingredients, and fairly impressive replication of real ice cream though I’m more than sure that anyone with a mega sweet tooth would beg to differ. Needless to say, this isn’t spectacular compared to the real deal. Rate your sweet tooth from 1 to 10, 1 being absolutely inexistent and 10 being candy-cookies-chocolate-cake-froyo 24/7; Arctic Zero is good up to 7. And despite what the company likes to brag about to consumers, I will not consume the entire pint. If you do the math, it’s quite a sugary serving for the whole thing (20 grams in one!). 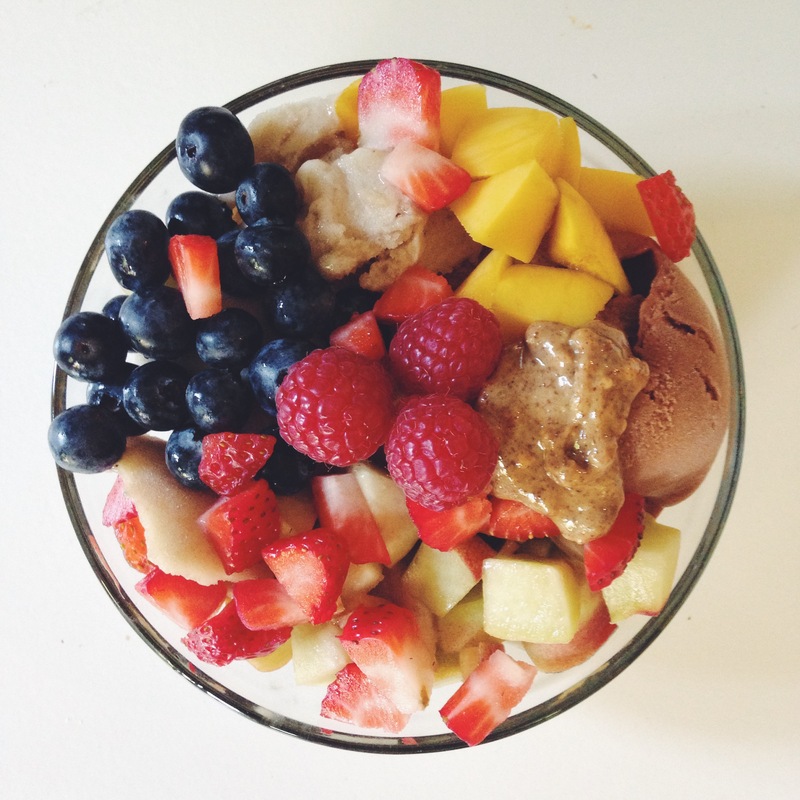 Personally for me, this is much better to tame a crazy sugar craving or to have as a breakfast topping. Please check out Arctic Zero when you have the chance, let me know down below how you tried it (won’t be surprised if there are a shiz ton of slams), and list what products I should try next too! Sadly I cannot eat Arctic Zero because I cannot eat whey or sugar, BUT I know I would love it if I could. Thankfully Wink Frozen Desserts fits the bill for me! What a bummer, but OMG I wanted to try WINK for the longest time in the world! Does it taste creamy and very similar to the flavors they’re supposed to be? If you leave wink out on the counter for about 3 – 4 minutes, it gets creamy and ADDICTIVE!! OH yeah, this sounds amazing! I looked online, a bit expensive but hey it might be worth it!